Remember that post I wrote back in May 2007 about the rent-a-pet? It was a brief mention and now the fur is flying over the topic. 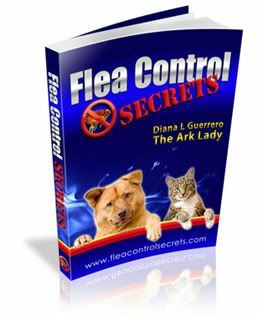 I’d suggest you take a gander at Pet Connection, and this article CEO With Sordid Past Behind Flexpetz Dog Sharing Service along with Is Rent-A-Dog A Good Idea?. The current sheltering situations of many facilities is dismal at best and at first glance I thought maybe the dog sharing service might be the first step into searching for an alternative. All professionals had concerns but change often rears its head in an odd fashion. Some years ago I donated a program I developed to the American Humane Association and Animal Behavior and Training Associates designed to improve the lives of captive shelter animals. Why would I give a program away? Because they had the numbers and influence to take it to the field. One of the activities was getting trainers and volunteers into the shelters to mentally stimulate the dogs and extinguish poor behavior unknowingly reinforced on a daily basis. I know that some of those tips and hints were taken out into the shelters–but change is slow in the world of pet ownership, fostering, and rescue. Until we change how we deal and manage animals we are going to see the same old things. Just this week backyard breeders showed up here in the mountains with their puppies. They set up camp in the parking lot of our two main shopping centers to sell them. If you have the money, you can get one. No questions asked, no commitment stressed, no continued breeder to pet owner education. The breeders show up several times a year which means they excessively breed their animals. My guess is that many will end up in the backyard, or into an agency, when they outgrow the cuteness of puppyhood because they require too much time and energy to mold into good canine citizens–and who knows what will happen to the breeding animals when they cease to produce. Anyway back to the FlexPetz, this press release was released by the HSUS and although I’ve worked alongside HSUS and other agencies doing disaster rescue, I have always discouraged people from sending money to the organizations that maintain heavy administrative and advertising costs. Granted everyone has their role in catalyzing change but it is really much nicer when the money goes directly to the animals and the agencies deliver what they say they will. So, this commentary commentary at Itchmo on HSUS and this one at Terrierman were interesting finds (thanks to Pet Connection again) as I had not heard about the call for investigation. There are a ton of articles such as this one on FlexPetz and I’d be interested in your opinion.